ASI294MC Pro has much potential, 14bit ADC, 63700e full well, 1.2e read noise, DDR buffer, each feature means a new posibility! 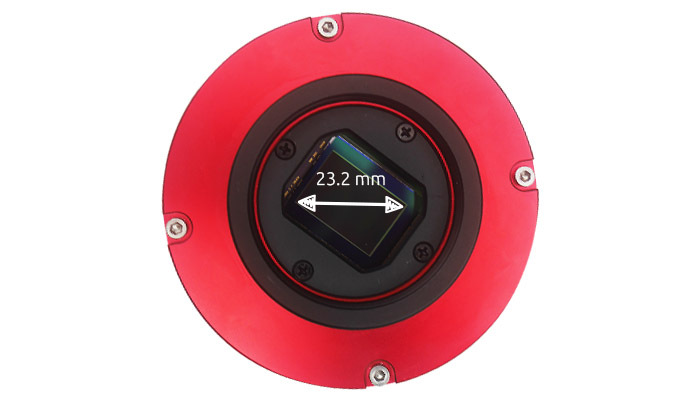 The IMX294CJK sensor is the first in-house image sensor for astronomic cameras to adopt the 4/3 format, and provides the necessary number of pixels for true 4k output at 120 frames per second (w/ ADC 10-bit output mode, the ASI294MC can run up to 25fps at 4k format when used with USB 3.0). In addition, the use of larger-sized pixels achieves SNR1s (link this to Sony’s page on SNR1s, so people know what it means) of 0.14 lx* which is very close to the value of the ASI224 (0.13 lx*). 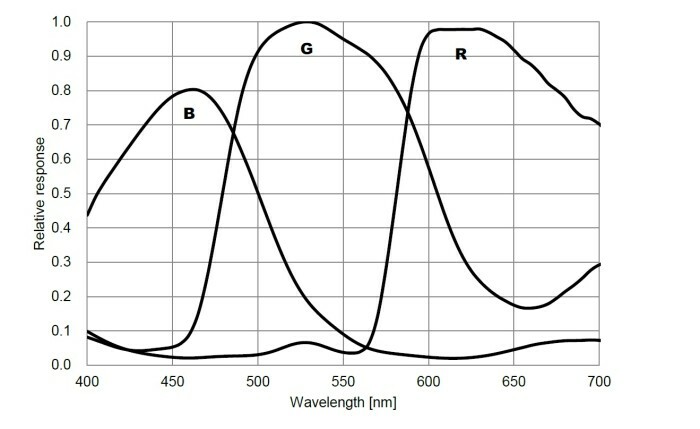 Exceptional low-illumination performance of SNR: 0.14 lx is realized by use of a large-size optical system and by expanding the area per pixel to 4.63 µm. 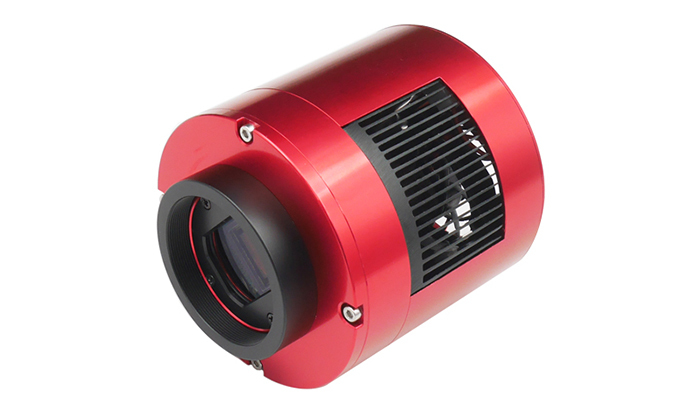 This makes the IMX294CJK ideal for astronomic camera market applications that require low-illumination performance. 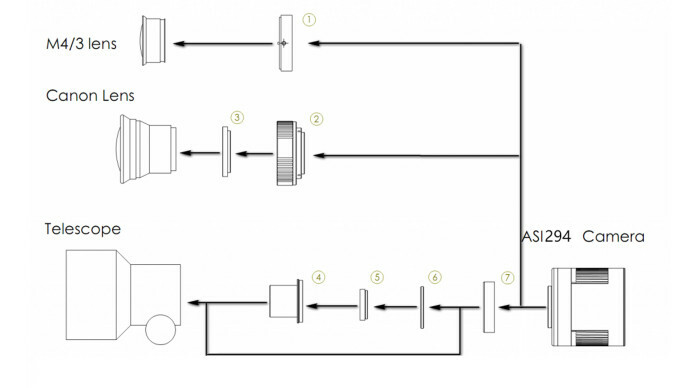 HCG (high conversion gain) mode, which reduces read noise to even lower levels at higher gain without loss to dynamic range, is automatically enabled when the gain setting is 120 or higher. 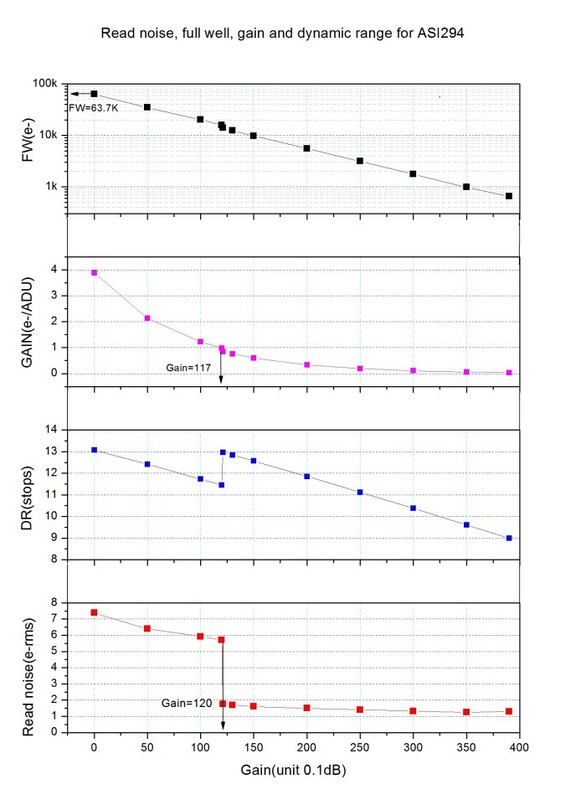 Read noise will drop to under 2e-, while dynamic range will remain at 13 stops. 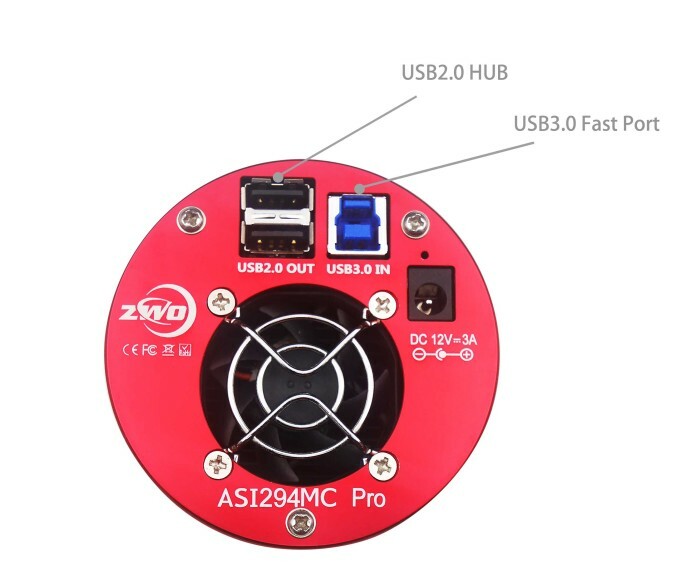 ASI294MC Pro has same mechanics as ASI1600 Pro. 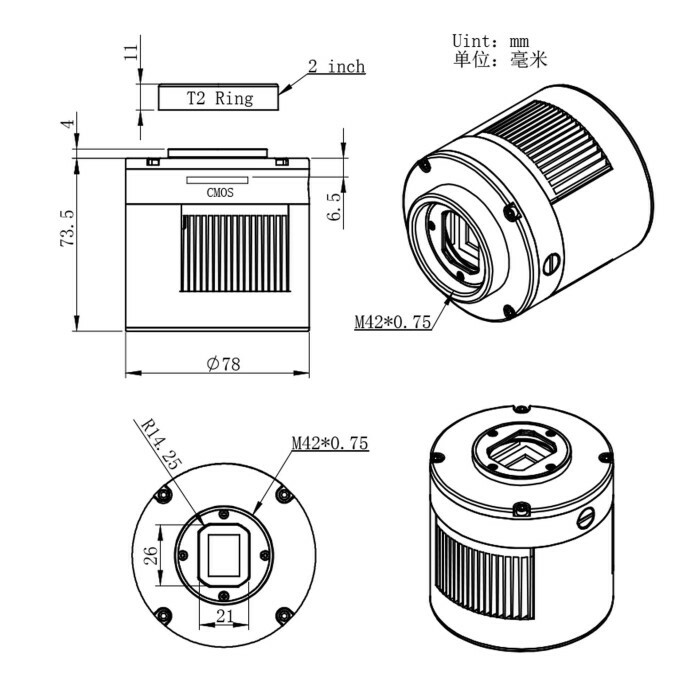 There are four screws that seal the sensor chamber. 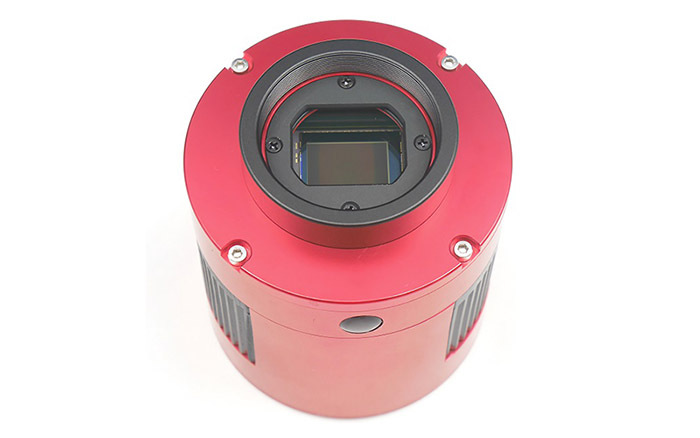 Our camera design has been extensively tested and is very stable. Even when used in higher humidity environments, ASI294MC Pro will still works fine without dew problems. 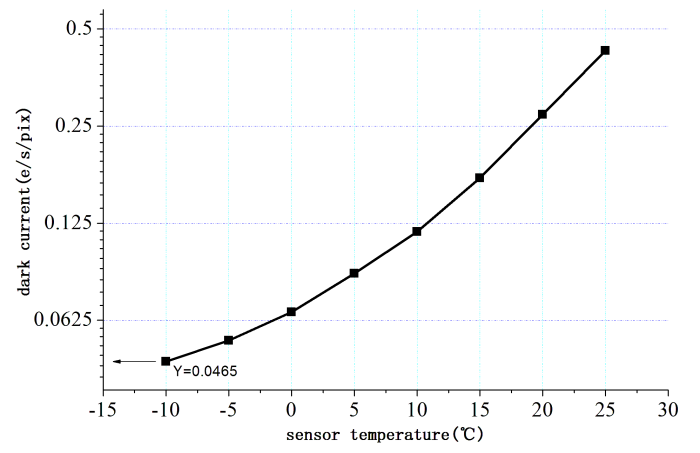 The dark current of the ASI294 is slightly higher than the ASI1600, based on our test results. Dark frame sample @ Highest dynamic range settings, 300s, -10°C, bin1. The ASI294 Pro has a 2-stage TEC cooling system that enables deep cooling (35°C-40°C below ambient). The cooler requires an external power supply, which is not included with the camera. What is in the box? 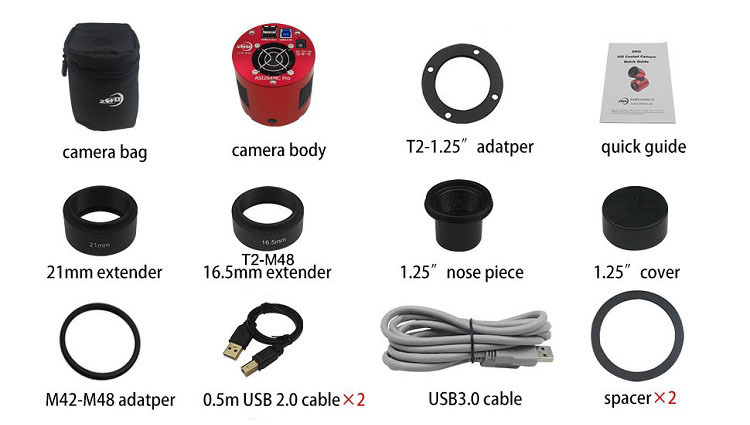 ASI294 Pro box includes all necessary cables, adapters, and manuals. Παρακαλώ ενημερώστε με για την τιμή του προϊόντος ZWO CAMERA ASI 294mc PRO COLOUR, με κωδικό: ZWO-ASI294MC-P.